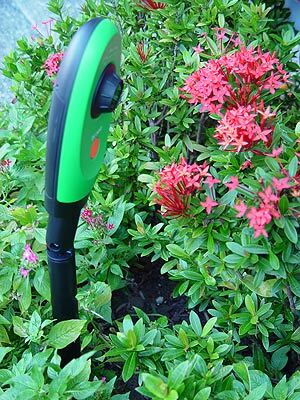 Here are a couple of products that perform functions I believe most gardeners would consider pretty neat. 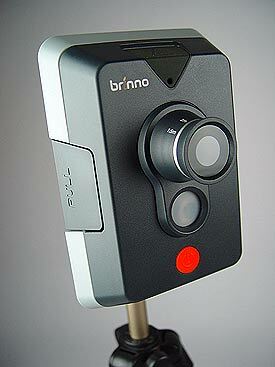 The Brinno Corporation out of Palm Springs, Florida, has created two high-quality automatic cameras you can set up in the garden. The GardenWatch Cam is a simple to operate, time-lapse camera that captures the changes of individual flowers or a stretch of your garden by taking high quality photos at specific, programmable times, such as one photo every one, four, or 24 hours. It stores the photos as 1.3 megapixel JPEGS on its own 2GB USB flash drive, easy to download onto your computer. An auto darkness sensor puts the camera to sleep at night, saving on the batteries (four AA batteries run it, and are included). It comes with a flexible mounting stake or you can mount it to your tripod. Even cooler, to me, is the BirdWatch Cam, which senses the motion of birds entering the camera’s field of view. Once the motion sensor is activated, the camera wakes up for 20 seconds to take approximately 20 high quality still photos (stamped with date and time) that are saved as JPEGs on the included 2GB SD memory card. The camera has three preset focal distances and a high quality zoom lens. It’s easily mounted on your tripod, or fence, post, tree or window. But to hell with birds, of course, I want one because like a great majority of simple-minded, unsophisticated Minnesotans, I believe in the existence of Bigfoot, in fact know he exists, he’s been spotted three times in the Boundary Waters Canoe Area up near Ely, one time by me, loped across the road in front of my truck and gave me a stern look as I was pulling out of Willy’s Bar at three in the morning. Just wait until I get one of these up at the cabin. Fish guts. You leave out pans of fish guts. “Affordable” is in the mind of the beholder, but I think that prices of $140 for the GardenWatch Cam and $180 for the BirdWatch are fair for what looks like pretty sophisticated equipment. You can check them both out for yourself at brinno.com.